Medicare won't be available to most of us until we turn 65, but for some people—those with long-term disabilities or those who have been diagnosed with specific diseases— Medicare is available at any age. According to Kaiser Family Foundation data, 16 percent of all Medicare beneficiaries were under age 65 as of 2016. There were more than 60 million Medicare beneficiaries as of late 2018, so more than 9 million Americans under the age of 65 are covered by Medicare. 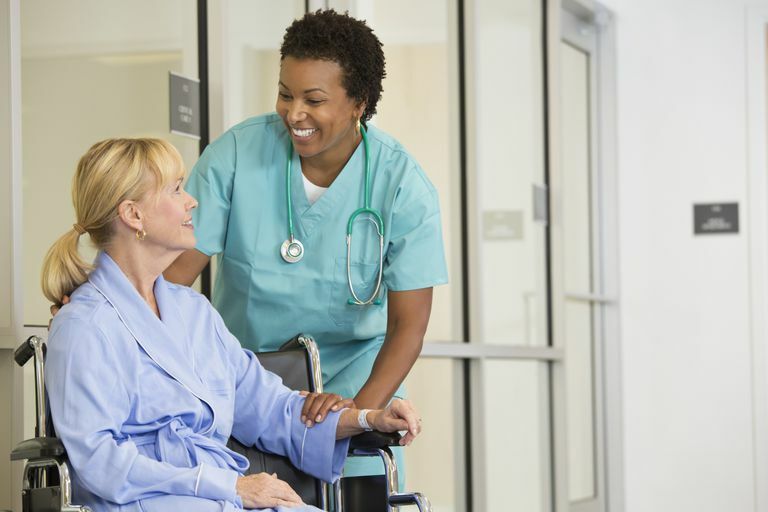 If you can establish that you suffer from a long-term disability that prevents you from working, you may qualify for monthly Social Security Disability Insurance (SSDI) payments, which will also automatically qualify you for Medicare. However, it can be a long process and even after you're approved for SSDI, you will have a long waiting period (24 months) before your Medicare benefits begin. A request for disability benefits starts with an online application. For your application to be considered, you must have worked enough hours to qualify for Social Security benefits, or be a spouse or dependent of someone who has. Your medical condition(s) must have lasted, or be expected to last at least 1 year, or be expected to result in your death. Your application for SSDI is likely to move more quickly if you select one doctor as the lead contact for your case. It's best to go with the one who has experience with disability cases, responds promptly to requests for information, and is familiar with your overall health situation. It's also a good idea to keep a detailed log of your experiences with everyday activities to document, for example, any difficulties you have with mobility or any side-effects you are experiencing from medications. This will help when you have your interview with a representative from Social Security. The interview may take place on the phone or in person at your local Social Security office. The SSA website provides an easy-to-use Disability Starter Kit that includes FAQs, a checklist, and a worksheet to help you get ready for your interview. You can save half the time of the interview if you fill out the needed applications online before your appointment. The SSA says most applications are processed within three to five months. For most applicants, however, the wait for Medicare benefits is just beginning, even if their application is approved. According to the law, your SSDI payments cannot start until you have been disabled for at least five full months. Your payment will usually start with your sixth month of disability. And, if you have been approved for SSDI, you must wait a full two years after that period passes for your Medicare coverage to start. When your Medicare starts you will be eligible for both Medicare Part A—hospital and nursing home coverage—and Medicare Part B—doctor visits and outpatient services. You will get Medicare cards in the mail three months before your 25th month of disability. If you don't want Medicare Part B, you can send back the card. If you keep the card, you will keep Part B and will pay Part B premiums. You will also be eligible for a Medicare Part D prescription drug plan. You can join a Part D plan during the three months before to three months after your 25th month of disability. You can opt instead for a Medicare Advantage plan (unless you have end-stage renal disease, in which case Advantage plans are not required to accept your application; this will change as of 2021, when Advantage plans will be required to accept any Medicare beneficiary, including those with end-stage renal disease). An Advantage plan will wrap the Part A and Part B benefits into one plan, and most of them also include Part D coverage. Federal law does not require private insurers to sell Medigap insurance—the type of coverage that pays for appropriate services and out-of-pocket expenses not paid for by Medicare—to people under 65, even if they are disabled. However, 32 states require insurance companies to sell you a Medigap policy if you have Medicare and you're under age 65, although some limit plan availability and or allow insurers to charge much higher premiums when the applicant is under 65. There are also varying rules on Medigap access for people with end-stage renal disease (kidney failure). Contact your state insurance agency to find out if your state has a Medigap requirement and to determine the rules that apply to you. If you're younger than 65 and have been diagnosed with amyotrophic lateral sclerosis (ALS), which is also known as Lou Gehrig's disease, you will automatically get Medicare Part A and Part B the month your disability benefits begin (after the end of the five-month waiting period for disability benefits). If you're undergoing dialysis for end-stage renal disease (ESRD), your Medicare coverage usually starts the first day of the fourth month of dialysis treatments. Note that Medicare Advantage plans are generally not available to people under 65 who are enrolling in Medicare as a result of ESRD (as noted above, this is changing as of 2021), but you may be able to join a Medicare Special Needs Plan for people with ESRD, if there's one in your area. You take part in a home dialysis training program offered by a Medicare-approved training facility to teach you how to give yourself dialysis treatments at home. Your doctor expects you to finish training and be able to conduct your own dialysis treatments in your home. You do your regular dialysis during the four months you would otherwise have to wait for coverage to start. If you have employer-sponsored or union-sponsored insurance and you become eligible for Medicare due to end-stage renal disease, Medicare will coordinate with your existing coverage for 30 months. During that time, your private insurance will be your primary coverage, and Medicare will pick up the portion of the remaining costs. At the end of the 30 months, assuming you still have coverage under your group health plan, it will become secondary coverage and Medicare will become primary. Centers for Medicare and Medicaid Services. Coverage of Kidney Dialysis and Kidney Transplant Services. Updated July 2017. Medicare.gov. I have a disability. Medicare.gov. What if I have end-stage renal disease (ESRD)? Social Security Administration. What You Should Know Before You Apply for Social Security Disability Benefits. Kaiser Family Foundation. Distribution of Medicare beneficiaries by eligibility category. 2016. Centers for Medicare and Medicaid Services. Medicare Enrollment Dashboard.